Like Walter Gropius and many others, László Moholy-Nagy sought to break down the barriers between life and art, as well as among all the various genres and media. In line with the Bauhaus ethos of finding beauty in compositional materials, Moholy-Nagy argued fervently that photography was about the manipulation of light, and hence the art form most suited to the modern age. The photograms he produced in the mid-1920s epitomized this concept. 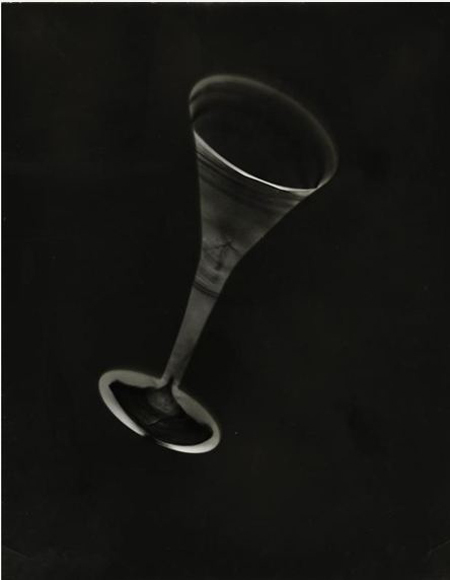 Photograms were camera-less images created by a chemical process of layering different exposures on light-sensitive paper. They allowed Moholy-Nagy to create images of perfect forms that seemed to float in air. His near-obsession with light and form is evident in the total compositional effect of his photographs and in the ethereal lightness of his photograms.